Blues music has always held a special place in my heart, though I have never aspired to become a Blues cellist. 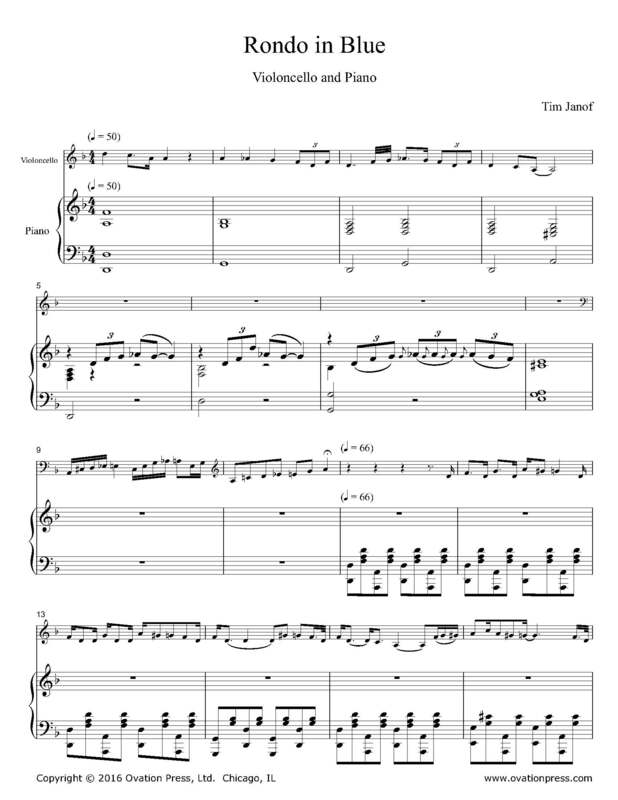 This piece allows me to enjoy soulful Blue idioms while still retaining my identity as a Classical musician. Click below to watch Tim Janof and Sue Bohn perform Rondo in Blue.